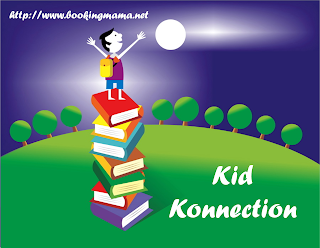 Every weekend, I host a feature called Kid Konnection -- a regular weekly feature about anything related to children's books. This week I'm going to share with you a fun middle grade book that's the first in a new series! Summary: In Enchantasia, becoming a legendary prince or princess doesn’t happen overnight. Enter Royal Academy, the training ground for the fairy tale leaders of tomorrow! But Devin has major reservations about her new school and her royal future. How can she be a princess and the best creature caretaker Enchantasia has ever seen? It doesn’t help that there’s something seriously weird about RA’s headmistress. Olivina seems obsessed with preparing students for possible attacks from villains (“A royal can’t rule when they’re stuck in a tower!”) Devin gets that being Snow White and Rapunzel’s fairy godmother has probably made Olivina pretty paranoid, but anytime someone steps a toe out of line, Olivina becomes more of a fairy nightmare than a fairy godmother. MISFITS is the start of a new series for author Jen Calonita -- the Royal Academy Rebels series. Booking Daughter and I have been a big fan of Jen since we met her many years ago. We both loved her SECRETS OF MY HOLLYWOOD LIFE books as well as the BELLES series, and I'm sure her latest books, the Fairy Tale Reform School series, are amazing too! She knows how to create characters that young girls aspire to while also writing fun and entertaining stories about them. It says something that she loves both Disney and Star Wars, and I think that's apparent in her latest book! 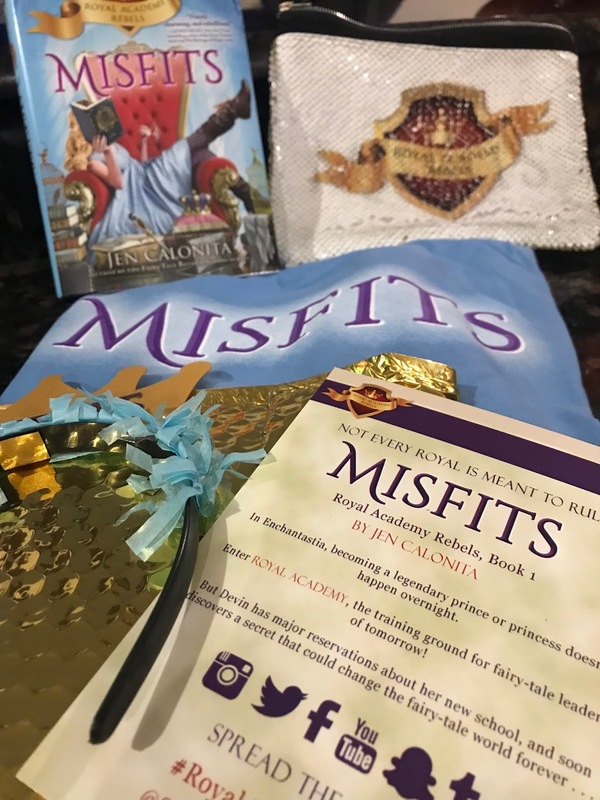 MISFITS is kind of/sort of a princess story, but it's also an adventure tale! That means it will appeal to young girls with all sorts of interests. Devin is happy with her current life. She loves to play with animals and she has a special way of communicating with them. However, Devin is a princess and it's time for her to attend the Royal Academy. Needless to say, Devin isn't your typical princess material. When she gets to the Royal Academy, she discovers that she's not like the other girls. She didn't come prepared for the training and she really doesn't have a desire to have dresses made and her hair done. She also notices that something is very strange with Olivina, the headmistress. She plays "games" with the princesses-in-training constantly, testing their skills against villains...and Devin eventually discovers that Olivina herself might be an actual villain! I thought MISFITS was a great middle grade book. It was the perfect mix of princess/adventure, and Devin is a fantastic character. I'm certain many girls will relate to Devin, and it's certainly hard not to root for her against Olivina. The book is full of "princess" humor but there is also some great action scenes that I could totally see in a movie (hint, hint!). I also enjoyed some of the kids that Devin met at school. They are definitely characters that kids will relate to, and I liked some of the less conventional friendships that were developed. I really can't stress how likable Devin is. She's smart, creative, strong; and her ability to support others is inspiring. As a mom, I loved this book. The story is sweet but entertaining with lots of great messages for young girls. There is a recurring theme of good versus evil, but there are also strong themes of self-respect, staying true to one's self, being a good friend, and more. MISFITS is a must-read for middle grade girls, and I am definitely looking forward to the next book in the series. Highly recommended! It sounds like this book has a great message. It sounds terrific!